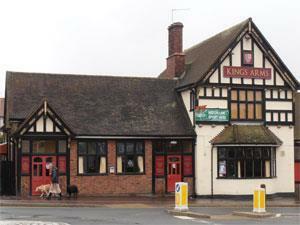 The Kings Arms is a traditional public house in the heart of the village of Caister-on-Sea near Great Yarmouth. With a warm welcome assured, a separate games room, sports on tv, regular music nights and real ales served. On arrival in Great Yarmouth follows signs for the A149 to Caister-on-Sea proceeding straight ahead at the mini roundabout at Yarmouth Stadium and over the next two mini roundabouts, then taking a left turn at the next roundabout onto West Road where the Kings Arms is situated.